We have a bit of a goldilocks story going on here. My first period was long, my first cycle was short. My second period was short (4 days), and my second cycle was L.O.N.G! This month, cycle 2, I decided I wanted the knowledge of what was going on under my skin. I wanted to know which day I ovulated (and IF I was ovulating) and if my temperature would rise as it had for all the women I had read about when I had thought I was pregnant during cycle 1. So, against everything I said before, I started charting. Charting turned out to be fun, and I was SO GLAD I had the information. I used Fertility Friend, which is an awesome program that uses computer models to predict ovulation and cycle statistics. I bought a basal thermometer at CVS and started to take my temperature between 6:30 and 7 every morning. My chart was a little erratic, but Fertility Friend told me I ovulated on day 11 – so early! Since my last cycle was short, I figured this made sense. I also tried some cheap ovulation strips I ordered from Amazon this month, but I ran out before the test ever went positive (another hint I probably ovulated in the mid-twenties). But these tests were also SO hard to read. Some of them looked almost positive to me. I found them very confusing. I manually threw out the temp because I woke up so early I figured it was not accurate data. When I was in San Francisco, in a different time zone, my temps were high. I attributed this variation to the time changes, but I think this is actually when I ovulated – around day 22-25. Too bad I was 3,000 miles away from my husband! Back at home, around cycle day 28, my period was “late.” Of course I only had one cycle to go off of and a funky temperature chart confusing me even more. Fertility Friend didn’t know I was in a different time zone, and it recalled its original declaration of ovulation and plopped it smack in the middle of my trip. I still thought there was a chance we had conceived some other week and since my period was late – and again, I was having crazy PMS symptoms, I continued to take tests. But finally at about 17 dpo from my original day 11 ovulation date, I gave up and waited for my period. Sure enough it came – on cycle day 37. I’m still not sure which day I ovulated, but I do think it was while I was in San Francisco, so it’s no surprise we didn’t conceive. I waited for my period to end and another cycle to begin. I had stopped drinking full-size servings of alcohol after ovulation, so it had been quite a while since I’d had a big mug of beer. I celebrated my period week with alcohol every night! Up next: Cycle 3: Knowledge or Luck? This is going to sound nerdy but…the body is so cool! Love hearing about your self study. PS now whenever I see 120 minute IPA, I think of you! 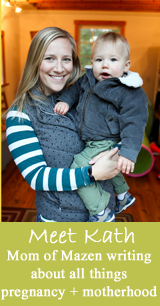 Hey Kath,I’m a new follower of your blogs and I loved the idea of creating a baby blog! Have you ever seen Elena’s one?She had her baby 3/4 weeks ago but her blog is pretty good for new moms. By the way can’t wait to see your week by week pictures!! Have you feeling morning sickness? Welcome!! Can you share Elena’s link? I was going to say that too! This blog is reminding me a lot of hers. Little Alexis is so adorable. Can’t wait to read her birth story. I’m glad that I first started charting while trying to prevent pregnancy. I think I would have driven myself crazy trying to figure out ovulation and all of that (with the hopes of getting pregnant) the first couple of months, when I didn’t really know what I was looking at, or even how to interpret my chart! I tried fertility friend, but preferred paper charting. Bodies are so strange and miraculous at the same time! Charting, temping, checking C.M., ovulation predictor kits. Thank goodness I conceived quickly because the only thing I did was buy some cheapie ovulation predictor sticks but those things are like reading a Greek to me…some looked positive, others didn’t just seconds later…it’s all so tricky and it makes me thank my lucky stars things worked out pretty easily for me because the variables, the body, all the micro-nuance changes…it could drive you nuts! Kath, I am loving this new blog and as others have said, your raw honesty! It is so refreshing and I am already learning so much. (Not TTC but will be soon). Thank you for sharing all the details, you sound like a new person hearing this side of you and I love love love it!! I love reading these things – I also freakishly interpret my charts as well (they are ALLLL over the place – something we are trying to work through with my TCM doctor). Okay, I am already totally confused by the chart! It seems like it dipped a lot before that circled one!? LOL, I don’t get it. I clicked on the cervical mucus link, which I had never heard of. Super interesting. I don’t have kids yet but it already amazes me of what my body can do. And now I’m learning the signals it gives. I appreciate all the honesty and info(!) you are putting forth. Watching Jen (thisrunnerstrials) and Caitlin (HTP) going through the pregnancy stuff was pretty neat and here you are doing the same thing. I look forward to reading all about your baby growin’: even the mucus! TTC with temperature charting and CM is like running a science experiment on your body. It is so fun to watch things change and try and figure out what will happen next. 🙂 Am loving this blog! Hi Kath! I’m a new follower, and I love that your so open and willing to share all these details. It’s a little confusing for me to figure out and follow, but so interesting to read about everything that goes on “behind the scenes” of getting pregnant. Can’t wait to read more!!!! Welcome!!! Cycles are very confusing, but they get easier as you learn more! I have been reading KERF for a while now, but am finding BERF great because I am pregnant too! I am currently 9.5 weeks pregnant with my 2nd baby and love reading your thoughts about being a first time Mum-to-be. 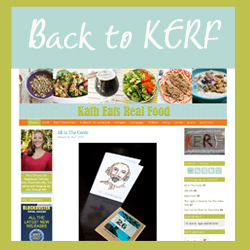 I have been so sick I have struggled even looking at the food pictures on KERF! Oh man this charting all seems tedious and time consuming. I guess it worked since you have a bun in the oven! Again, love this blog and I totally love that you created a seperate one from KERF. I think it was smart not to mix delicious appetizing foods with period talk. SMART! I can’t believe you did the whole temperature-chart thing – I’m impressed. A friend had given me a book about “taking charge of your fertility” and it had all these detailed charts and graphs, explicit directions (with pictures) of how to check your cervical fluids, etc….and it all confused and/or grossed me out! After trying for 3-4 months to just “have fun and not use protection” I decided to use an ovulation kit. My doctor had told us to shoot for days 12, 14 and 16 of my cycle and that we would be pregnant within a year. That seemed like a long time to us, and after talking to two girlfriends who told me they ovulated on days 7 and 20, I realized my body my not be on a “normal” schedule and we were essentially swinging at a pinata while blindfolded 🙂 I wanted to know the exact day I ovulated. I did the kit and I was day 13…and boom we got pregnant that month! Just a note though the kit however told us to do it within 24-48 hours of getting the positive sign, but did it that day instead (my doctor had also told me that the kits are almost too accurate and can cause couples to miss their window of opportunity…she kept telling me that it’s better to have the sperm waiting on the egg…haha). Hopefully will be able to come back online in a few months and say I am preggers! :) Here goes nothing and thanks again for being so open.. you have no idea how appreciated it is!! Next post: Cycle 3: Knowledge or Luck?